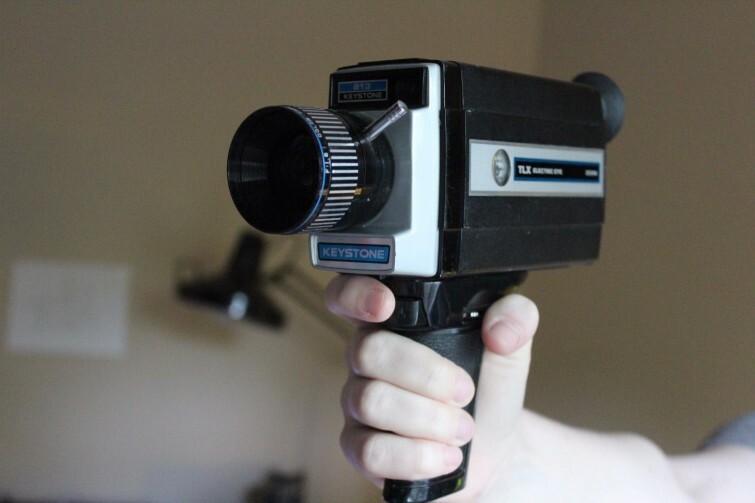 I found this KeyStone TLX Electric Eye 813 camera at a local garage sale for $2. And at the time, I wasn’t sure what it was. So I took it home to do some research. The Keystone Camera Company was an American manufacturer of consumer photographic equipment. Notable products were Movie cameras, 126 and 110 cameras with built-in electronic flash. In the 1930s, the firm built low cost 16mm cameras that are still in use today. The firm considered that labeling its products as Made in USA was an important part of its appeal. The firm was originally located in Boston, MA and moved to Clifton, NJ when purchased by Berkey Photo in 1968. In 1970 they began to manufacture the Everflash series of cameras in Clifton that accepted Kodak’s new 126 cartridge film, and several years later Everflash cameras that handled the then new Kodak 110 cartridge film. Keystone’s claim to fame was their built in electronic flash rather than having to use a flash bulb or flash cube, which was popular then on many other cameras. Poor internal management structure led to many quality problems in the early 1970’s and serious losses. From 1970 to 1977, Berkey accounted for 8.2% Of the sales in the camera market in the United States, reaching a peak of 10.2% In 1976. In 1978, Berkey sold its camera division and thus abandoned this market. Although there is a small collector market for these cameras, these sorts of cameras do not seem to be very valuable. KeyStone cameras like this one range in value between $10 and $25.